Rosa Ramona Díaz has just moved to the small, un-haunted town of Ingot—the only ghost-free town in the world. She doesn’t want to be there. She doesn’t understand how her mother—a librarian who specializes in ghost-appeasement—could possibly want to live in a place with no ghosts. Frankly, she doesn’t understand why anyone would. Jasper Chevalier has always lived in Ingot. His father plays a knight at the local Renaissance Festival, and his mother plays the queen. Jasper has never seen a ghost, and can’t imagine his un-haunted town any other way. Then an apparition thunders into the festival grounds and turns the quiet town upside down. Something otherworldly is about to be unleashed, and Rosa will need all her ghost appeasement tools—and a little help from Jasper—to rein in the angry spirits and restore peace to Ingot before it’s too late. So many fantasy novels these days are thick and detailed. 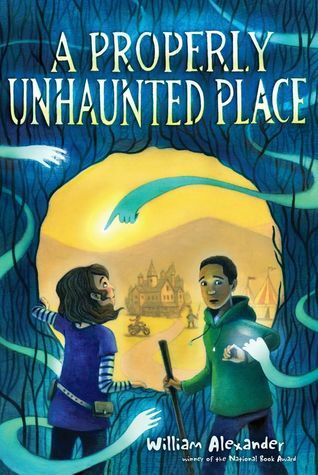 This is great for avid readers, but makes it challenging for fantasy-loving reluctant readers. So, I am delighted to be able to highly recommend this less than 200 page fantasy. Rosa and Jasper make for delightful main characters who are faced with a rather large problem. At first it appears that Ingot doesn't have any ghosts, which troubles Rosa considering appeasing ghosts is what her mother does best, and something she has gotten involved with as well. But after her father's embarrassing death, maybe that's what her mother wants. But Rosa misses the business of the big city, including the hauntings. Jasper, on the other hand, has lived his whole life in Ingot, a town without hauntings of any kind. But as he is showing Rosa around the town's famous Renaissance Faire, a haunted, upside-down tree comes stampeding through the fair. Rosa does her best to stop it, but without her tool belt, she isn't properly prepared for it. What is clear is that something is going on, and the Ingot may not be as unhaunted as everyone thinks. And it may be up to Rosa and Jasper, to appease some very angry ghosts before absolute disaster strikes. This well-written book is entertaining with lots of interesting twists and turns, as well as a fantasy trope, turned on its head. In most ghost stories, the main characters are seeking to get rid of ghosts, but not in Rosa's world. In Rosa's world, hauntings are the norm, and a town without them is the anomaly. The story moves quickly with the kind of plot that works perfectly for young readers. A great addition for most libraries. 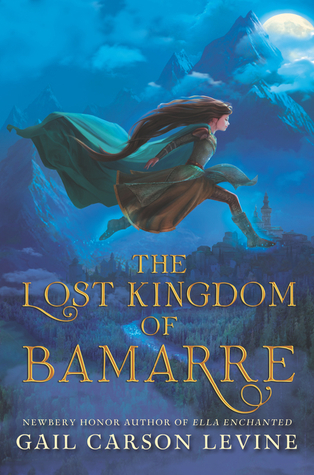 It's been a long time since I've read The Two Princesses of Bamarre, but I knew that this would be a great read. And I was not disappointed. Levine's ability to take fairy tale motifs and turn them on their heads never ceases to amaze me. I didn't the fairy tale elements in this one coming because I was so caught up in Perry's story and where it might end up. It was fantastic to be surprised on several occasions in the book. After reading so many fairy tale retellings, sometimes it gets old, but never with Levine and certainly not with this book. Perry makes for a great main character, full of fight and determination. But what makes the book especially interesting is the way she has to learn to harness that fire in order to truly come to understand the Bamarre and her family. And it's honestly hard for her, as one would expect it to be. The other characters in the book also have more depth than one might expect based on their actions at the beginning. It was enjoyable to see the way the characters change, especially in the way Perry sees them. The plot proves to be more intricate than I first thought it would be as Perry struggles to come to terms with her identity and the task the fairy has set her. Relationship difficulties mix quite well with the action sequences to create an entertaining as well as thoughtful read. Themes of family, earning love versus unconditional love, as well as bias and prejudice of all kinds resonate strongly throughout the book without becoming didactic. Another winner from a fabulous author. Most people know Florence Nightingale was a compassionate and legendary nurse, but they don’t know her full story. This riveting biography explores the exceptional life of a woman who defied the stifling conventions of Victorian society to pursue what was considered an undesirable vocation. She is best known for her work during the Crimean War, when she vastly improved gruesome and deadly conditions and made nightly rounds to visit patients, becoming known around the world as the Lady with the Lamp. Her tireless and inspiring work continued after the war, and her modern methods in nursing became the defining standards still used today. Includes notes, bibliography, and index. One of the things that I've always admired about biography writers is the skill they demonstrate in choosing what to share with their readers. Naturally some writers are better at this than others, and it does relate to the purpose and sense of fairness of the author him/herself. I prefer biographies that show the person in all their humanness, the good and the bad, the remarkable and the ordinary. For me it is almost more impressive when the subject manages to do remarkable things despite their own weaknesses and struggles. 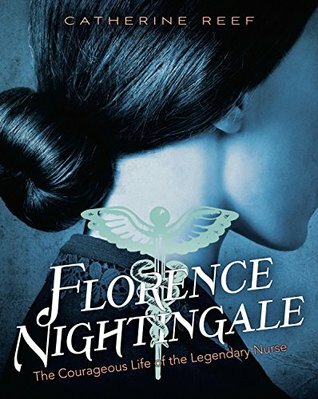 Florence Nightingale is one of those people who's become rather a legend over the years. Stories of her walking the halls of a hospital with a lamp during the Crimean War are easy to come by. But how accurate are they? Catherine Reef does a great job of sharing Nightingale's real life experiences and how she ended up in those hospital halls as well as the reasons she became such a legend in the first place. I appreciated Reef's efforts to show Florence's background and reasons for getting involved in nursing in the first place. Her beliefs and family life are presented as fairly as I think it could be done. I found it fascinating to read about the deep family opposition Florence experienced in her efforts to be more than just a noble lady. Her desires to serve God and make a difference in the world lead to serious conflict with her parents and sister for a variety of reasons. What made this especially interesting to read was the accounts of the strides that Florence spent her life seeking and the lives that were changed as a result. Unfortunately for Florence, she didn't return from the Crimea in prime health and spent the rest of her life in and out of bed. But even when she was confined she didn't stop advocating for better nursing care, especially for military personnel. While Florence did plenty of toe-stepping and ally pushing, it was impossible not to cheer her efforts after reading about the horrible conditions that were often the norm at the time. Despite her weaknesses, Nightingale was in a number of ways a woman ahead of her time, and the world can be grateful that she was. Aven Green loves to tell people that she lost her arms in an alligator wrestling match, or a wildfire in Tanzania, but the truth is she was born without them. 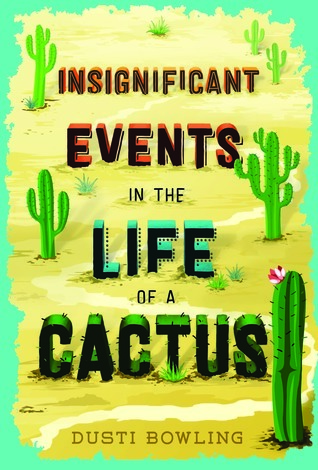 And when her parents take a job running Stagecoach Pass, a rundown western theme park in Arizona, Aven moves with them across the country knowing that she’ll have to answer the question over and over again. I've found a new book for my favorite book's shelf. I absolutely loved this book, so bare with me while a gush a bit. I even read it to my sixth graders and they loved it too. Aven is such a wonderful character, so full of heart and determination and a willingness to try. What makes it even better is that her parents are so there for her, in fact they are responsible for teaching her that having no arms is no excuse for not trying. They've taught her to do for herself as much as she can. But moving to Arizona, away from all her friends, isn't what Aven expected. And she gets tired of all the stares she gets at her new school. She even avoids the cafeteria so that the students don't see her eating with her feet. In her efforts to avoid the cafeteria Aven visits the library where she meets Connor, a fellow outcast, who happens to have Tourette's Syndrome. His barking embarrasses him immensely, especially when the other students make fun of him. But as Aven and Connor become better friends they start helping each other grow stronger. And when Zion, another so-called 'freak' joins the group things start to look up for Aven. At the same time, Aven is adjusting to her new home at Stagecoach Pass, a falling apart western theme park that her parents are now managing. When there appears to be a mystery surrounding the owner of the theme park, Aven recruits Connor and Zion to help her solve it. But the mystery takes a rather unexpected turn, leading Aven to wonder about her past as well as her future. I loved the humor that Aven uses to cope with the challenges in her life. But it's her strong spirit and desire to help others that carries the day. This is one of my favorite books of the year and one I plan to share over and over, not just because the character is disabled but doesn't it stop her, but because of the relationships that shine through so beautifully, flaws and all. Sixth grader Alec can't put a good book down. So when Principal Vance lays down the law--pay attention in class, or else--Alec takes action. He can't lose all his reading time, so he starts a club. A club he intends to be the only member of. After all, reading isn't a team sport, and no one would want to join something called the Losers Club, right? But as more and more kids find their way to Alec's club--including his ex-friend turned bully and the girl Alec is maybe starting to like--Alec notices something. Real life might be messier than his favorite books, but it's just as interesting. 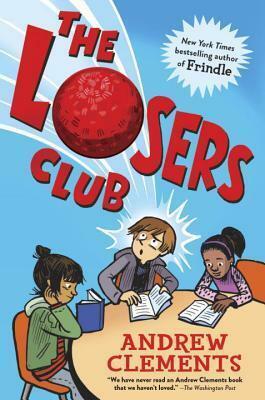 With The Losers Club, Andrew Clements brings us a new school story that's a love letter to books and to reading and that reminds us that sometimes the best stories are the ones that happen off the page--our own! In this delightful story about readers uniting to do what they love, Alec also faces normal 6th grade challenges. He wrestles with his interest in Nina, the girl who helped him form his club. On top of that he faces off with his former friend, who is also determined to win Nina over. Plus, he has to come up with a way to present his club's activity to the parents for the upcoming open house. Suddenly, what he intended as a way to get away with reading as much as he wants has become a lot more work than he ever planned. Alec was easy for me to relate to seeing as how I too love to read. And finding a balance between school, reading, and friends is a common problem for other book lovers as well. Once again, Andrew Clements has written a book that young readers will be able to easily relate to and enjoy. An inspiring tale of a fourth-grader who fights back when her favorite book is banned from the school library--by starting her own illegal locker library! It all started the day Amy Anne Ollinger tried to check out her favorite book in the whole world, From the Mixed-Up Files of Mrs. Basil E. Frankweiler, from the school library. That's when Mrs. Jones, the librarian, told her the bad news: her favorite book was banned! All because a classmate's mom thought the book wasn't appropriate for kids to read. Amy Anne decides to fight back by starting a secret banned books library out of her locker. Soon, she finds herself on the front line of an unexpected battle over book banning, censorship, and who has the right to decide what she and her fellow students can read. 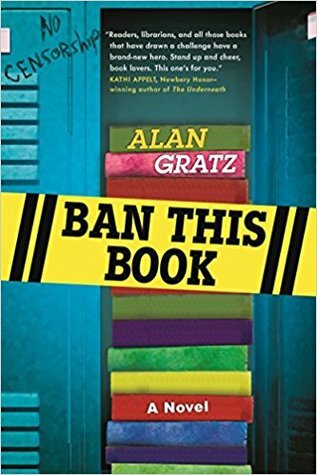 Reminiscent of the classic novel Frindle by Andrew Clements for its inspiring message, Ban This Book is a love letter to the written word and its power to give kids a voice. I knew when I picked up this book that it would probably make me angry, I am a librarian after all. And I was right, it did make me angry. As a librarian, I am well aware that not every book fits every reader, but for one person to dictate to everyone else what they should allow their children to do is just wrong. Especially when the whole book hasn't even been read. I found myself seriously cheering for Amy Anne's courage as she provided books for her classmates on the sly. I couldn't approve of this as a teacher, but as a reader I was with her 100%. It all starts when Amy Anne goes to the library to check out her favorite book only to discover that it's been taken off the shelf because a parent objected to it. When she goes to the school board meeting with Mrs. Jones the librarian, she finds herself unable to find her voice, and her book along with a bunch of others are banned (or 'removed' as the school board justifies). What especially irritate me at this point is that the board is ignoring it's own policies to satisfy this parent, and none of the board members have read the books they are having removed. But when Amy Anne informs her friends of what has happened, they form a group to resist by providing the banned books secretly from Amy Anne's locker. But as word spreads about the illegal library, the risk of discovery becomes greater. And Amy Anne can't help but suspect the activist parent's son of possible betrayal. When things come to a head, it's up to Amy Anne and her friends to find their voice before there are no books worth reading left in the library. I'm glad I read this book, it demonstrates wonderfully the dangers of censorship and book banning. This is also a great story about a young girl learning to find her own voice in a world she feels ignores her, which ends up helping her out at home as well as at school. 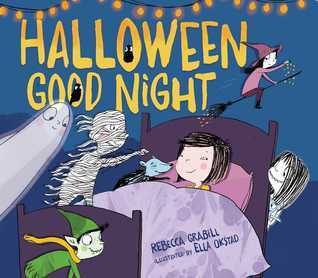 HALLOWEEN-RELATED PICTURE BOOKS: Creepy Pair of Underwear/Halloween Good NIght/Duck & Goose Honk! Quack! Boo! There are some words that automatically elicit giggles from young children. Underwear happens to be one of those words. 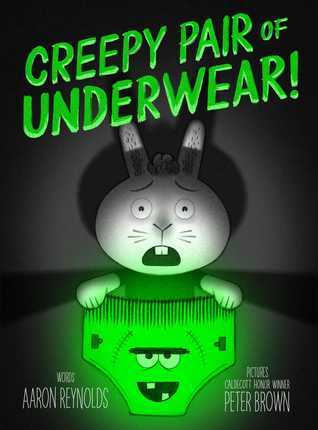 If you take a giggle-inducing word and combine it glow-in-the-dark green and a young rabbit who refuses to be 'little' anymore, you end up with this book. Having just read this to a bunch of first graders, I can safely say that this is a surefire hit. And the twist at the end sent us all into peals of laughter. I normally read a book before sharing with my students, but I didn't this time. Having already shared Reynolds' Creepy Carrots with students before I knew it would be a winner. But it was interesting reading the book for the first time with an audience. It was like I was in their shoes, hearing it for the first time. The book looks scarier than it ends up being. Jasper's efforts to get rid of the 'creepy' underwear are rather amusing, as is the fact that the underwear somehow keeps finding it's way back. If you are looking for a Halloween book that is just scary enough, with plenty of giggles involved, I can highly recommend this one. Count up to ten and back again with this sweet and clever Halloween bedtime story starring your favorite monsters! and oozing down your hall. in fact they’re rather sweet. This revised version of a well-known rhyme gathers together various monsters (werewolves, globsters, imps, vampires, and more for a bedtime party. But the girl knows what's up and takes care of things before they get out of hand. While the rhymes could be scary, the illustrations favor cuteness softening any rough edges. Lots of fun words are mixed in making for a fun read aloud and counting story. DUCK & GOOSE HONK! QUACK! BOO! It’s Halloween in the meadow, and the beloved, classic, and New York Times bestselling feathered friends Duck & Goose are ready for trick-or-treating! Duck is going as a spooky ghost. Goose is going as a brave superhero. And Thistle’s costume . . . well, that's a secret. But what will Duck and Goose do when they hear a very scary swamp monster is looking for them? 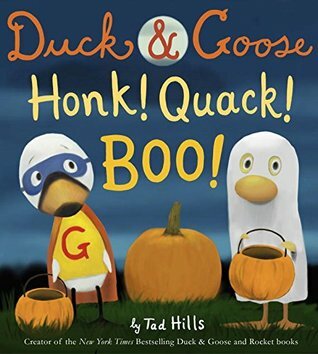 Tad Hills has written and illustrated another adorable book about best friends, Duck & Goose. Duck is looking forward to Halloween when he gets to dress up and trick or treat. Goose isn't so sure, especially when their friend Thistle tells them to 'beware the swamp monster'. As the two friends start trick or treating the next night, things are going well until they find out the swamp monster is looking for them. Hills' illustrations are adorable as always and enough hints are provided to make this a fun Halloween story that isn't too scary, but plenty of fun. When fourteen-year-old Rose Solomon's brother, Abe, left El Paso, he told the family he was heading to Brooklyn. But Rose discovers the truth the day she picks up the newspaper at Pickens General Store and spies a group photograph captioned The Southwestern Scourge of 1915! There stands Abe alongside none other than Pancho Villa and his army! Rose is furious about Abe's lie; fearful for his safety; and worried about her traditional parents who, despite their strict and observant ways, do not deserve to have an outlaw for a son. Rose knows the only way to set things right is to get Abe home, but her clandestine plan to contact him goes awry when she is kidnapped by Villa's revolutionaries and taken to his hideaway. Deep in the desert, amidst a richly rendered assortment of freedom-seekers that includes an impassioned young reporter, two sharp-shooting sisters with a secret past, and Dorotea, Villa's tyrannical young charge, Rose sees no sign of Abe and has no hope of release. But as she learns to lie, hide, and ride like a bandit, Rose discovers the real meaning of freedom and what she's willing to risk to get hers back. Rose is an appealing, spunky character, who is frustrated with her mother's nagging (and efforts to push her toward preparation for marriage even though she's only thirteen), and upset when she learns her adored older brother lied to her. Her parents think Abraham is back east working with his brother, Eli. Rose believes Abraham is out west working as a cowboy. When she sees his picture with Pancho Villa, the outlaw, she's horrified and tries to hide the information from her parents. When she decides to write to Abraham and let him know of her displeasure she has no idea the trouble it will get her into. What Rose doesn't expect is to end up being snatched and taken to Pancho Villa's camp out in the desert. Becoming the 'playmate' (basically defined as servant) to Villa's niece further confuses things. Rose's views of her brother's actions start to shift as do her views on her own place in the world and the value of her own freedom. Having been babied her whole life, Rose spends a lot of time in the beginning blaming others for her difficult situation. But finally she realizes that not even her brother can save her from this mess and she may just have to do something herself. I've enjoyed the imagery that Krawitz has used in her writing as well as her depictions of the formerly Russian Jewish family as they live their life in El Paso, Texas. It's even more impressive that the story is based on the author's own family history. I've read a lot of historical fiction over the years, most of it focused on U.S. mainstream history. It's refreshing to read about people and events that aren't as familiar to me. The story is well-told and fun to read, although Dorotea, Villa's so-called niece, really made me angry with her antics, a sign of a well-written character. For years, I had a recurring dream. I was walking through an abandoned house I knew was my grandfather’s, and though the roof was leaky and the floors were wobbly, the rooms were filled with incredible furnishings. I see that dream now as a not-so-subtle nudge from my subconscious to write a novel I’d been spinning about a unique piece of my family’s history. My grandfather’s first cousins were Russian Jewish immigrants who’d settled in San Antonio, Texas. Redheaded Rose was said to have been an incredible singer, and Abraham, her brother, had ridden with Pancho Villa’s gang of banditos during the Mexican Revolution. 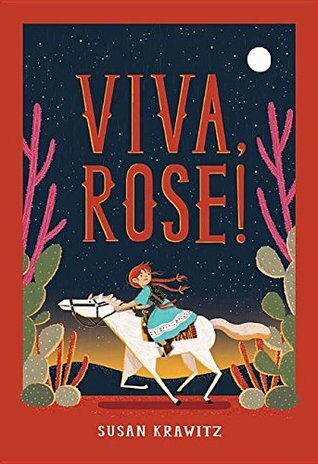 The idea of a Jewish cowboy bandit stirred my imagination, but creating my middle grade novel Viva, Rose! would require far more information than a handful of family stories. Balancing historical fact with historical fiction can be tricky. Situations and characters might spur the story’s start, but research has to fuel the rest of the ride. To begin, all I had were two intriguing characters and an exciting handful of whys and what-ifs. Why would cousin Abe leave his family to ride with Villa? What would it be like to travel with the Villa gang? And what if Abe’s little sister got somehow stuck in the middle of it all? So I devoured books and pored over websites about the Mexican Revolution and the history of Jews in the West. I read archived newspaper articles. I visited Texas. As the story evolved, I realized I’d need to change real-life elements in order to serve fictional ones. Rose and Abe’s home needed to be moved to the Mexican border town of El Paso so Rose could be involved. And though I added the real-life characters who made up Villa’s gang, they were not actually in his army at the same time. Though the line between fact and fiction blurred, I tried to keep one thing constant: to maintain a radiant sense of the energy of the real places, the real issues, and the real people who inspired the story. To me, this is the best purpose of historical fiction—to combine real and imagined elements to help present-day readers walk a long-ago path. And hopefully, ideally, the end result honors both what “really” happened and the bigger, more universal story created from it. I’m not sure what my grandfather would have thought about this book. But I’ve stopped having the dream about his house. A chicken pecks the ground looking for food. It was once a tiny embryo inside an egg. So how did it develop? Beginning readers will discover how an embryo inside an egg grows into an adult chicken in this basic introduction to animal development. Each 24-page book features controlled text with age-appropriate vocabulary and simple sentence construction. The clear text, fresh design, and colorful, eye-catching photos are sure to capture the interest of emergent readers. I always find it interesting when I pick up a book for children, especially young children, and learn something from it. Now it's not like I didn't know basic information about chickens, but I did learn a few things. For example, I did not know that baby chicks can peep inside their egg. And I had no idea there were 350 different types of chickens. 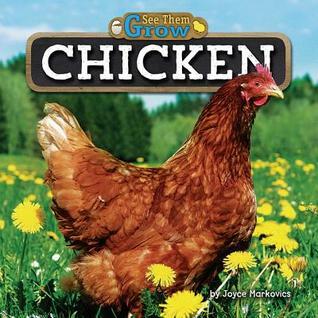 With detailed photographs and straightforward information about the development and hatching of an egg, this book gives young readers a clear glimpse into the main characteristics of chickens and how they get that way. The text is large with a nice font that makes it easy to read. In addition the photographs show clearly everything being described. This book makes for a nice addition to a library for those readers who love books about animals. Ten-year-old Cali watched her new dog-walking client hop around the neighborhood. Thunder was a retired military dog--a real-life hero who had saved several lives in Afghanistan. The German shepherd only had three legs, but he moved around almost as quickly as any other dog. What did Thunder do in the Marines, and would he once again prove himself a hero? Cali was about to find out. 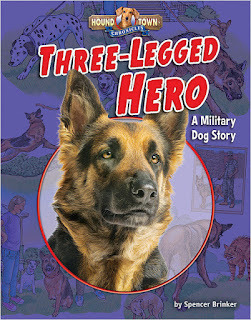 I was a bit surprised to discover this is a fictionalized story about a former military war dog. And while the illustrations and story are adequate, they didn't impress me all that much. The story revolves around a young girl who is starting a dog walking business. She meets up with a neighbor one day when the dogs she's walking cause her some trouble. This neighbor is a former soldier with a three-legged dog who was injured saving her life. The dog proves himself to still be a hero after Cali takes him for a walk one day. The illustrations are cute but nothing that really stands out. But young readers who love dog stories will probably like it. Jamey's father walked into the kitchen, holding a surprise. It was an adorable black lab puppy. "A puppy? For me?" Jamey shouted. "Not just any puppy. With your help, he'll grow up to use his sight and other senses to help a person who can't see," said her dad. Little did Jamey know that an incredible bond would soon grow between her and Indy, the tiny puppy destined to become a guide dog. In this cute book about love and pet responsibility, Jamey receives a puppy for July 4th. But this puppy isn't for her to keep. Instead, she is responsible to raise the puppy with good manners so he can go on to become a guide dog. 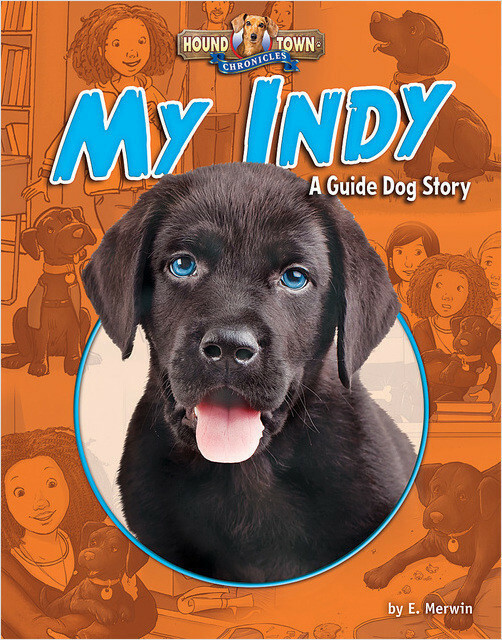 With careful training and a great deal of love, Jamey prepares the puppy she names Indy (for Independent) for his future life. But is she prepared for the day she'll have to say goodbye? This is a cute story about a girl and her dog. I especially enjoyed the details about Indy's preparation for guide dog school. In the 1950s, a 4,000-year-old giant wooden ship was discovered buried in the Egyptian desert. In this book, readers will explore one of the most fascinating archaeological discoveries of the past century. They will also learn how ships and the Nile River were closely connected to the ancient Egyptians' belief in death and the afterlife. 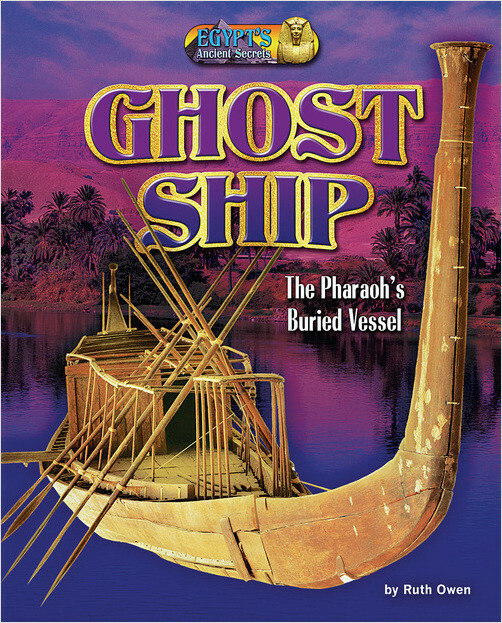 I thoroughly enjoyed this account of the discovery of a ship buried at the foot of the Great Pyramid of Giza. I learned a lot about the time and place. 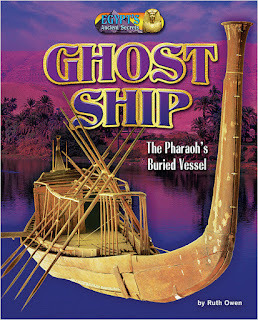 To read about what is currently the world's oldest still existing boat gave me insight into what life was like in Ancient Egypt. The sharp design of the book adds to it's appeal with a nice combination of text and photographs/illustrations. Like many of their other nonfiction titles, Bearport has done a great job in creating a book that young readers interested in the subject are bound to pick up. Monster may think he wants to be in a scary story, but then again . . . A hilarious return by the team that brought us Hoot Owl, Master of Disguise. Our author would like to write a funny story, but his main character Monster has a different idea. He wants to be the star of a chilling, petrifying, utterly terrifying SCARY story. But scary stories . . . well, they can be very scary especially for their characters! Particularly when they involve dark forests and creepy witches and spooky houses . . . Oh yikes and crikes, this is definitely not the scary story Monster had in mind! Maybe he wants to be in a funny story after all!" In this delightful story, Little Monster wants to be in a story. Preferably, a scary story and not a funny story. But when he sees the scary setting with the dark, haunted house and creepy woods, he's not so sure. As the story continues, Little Monster keeps having the narrator adjust the story because he's scared. Finally, he decides that maybe a funny story would be best after all. But his version of what's funny and the narrator's don't exactly match up, leading to a surprising conclusion. I enjoy stories like this one, where the main character and the narrator interact, but only when it's well done. Enough of these stories have already been done that it needs a fresh approach to make the book stand out. Focusing this story on scary versus funny helps provide that freshness, as does a couple of the twists and turns the story takes. 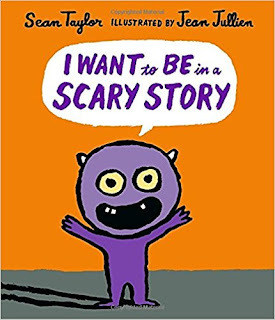 This is a fun book that is bound to be both a little scary and a little funny, a perfect read-aloud for Halloween. Reader beware! This is the scariest book ever! Or so claims its melodramatic ghost narrator. You can go ahead and turn the page, but don't expect him to come with you. Anything might pop out of that black hole in the middle of the forest. What do you mean it's just a bunny? Well, it's probably a bunny with big fangs. Watch out, it's--picking pumpkins with its friends, you say? Actually, despite the ghost's scare-mongering, none of the animal characters in the illustrations seem scary at all. . . . What's up with that? Many delights, such as surprises after the page turn, an alarmist narrator, and punch lines to anticipate make this book a scream for both kids and parents. Bob Shea seems to have a gift for writing picture books that children can relate to easily. In this one, the ghost is trying not to be scared of the dark woods, but doesn't quite manage it. And of course, he can't go exploring after spilling orange juice on his nice white sheet, so he makes the reader do it. As the story continues it becomes clear to the reader (but not the ghost) that the woods really aren't that scary and do in fact house ghost's friends. There are clues scattered throughout the illustrations that indicate what is coming, but of course the ghost is clueless. Eventually though the ghost starts to figure out that maybe he's overreacting and the forest isn't so scary. But there is one final surprise in store. 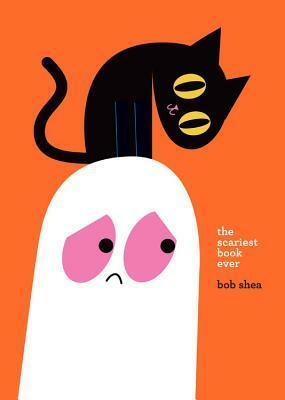 This cute book makes for a fun read aloud as the narrator (reader) has to reassure the ghost over and over again. A scary book that isn't quite so scary as it pretends to be (which makes it appropriate for younger readers).